LG “Put the Pedal to the Medal Promotion” is back by popular demand!! Home / LG “Put the Pedal to the Medal Promotion” is back by popular demand!! / LG “Put the Pedal to the Medal Promotion” is back by popular demand!! Attention all LG Excellence Contractors !! 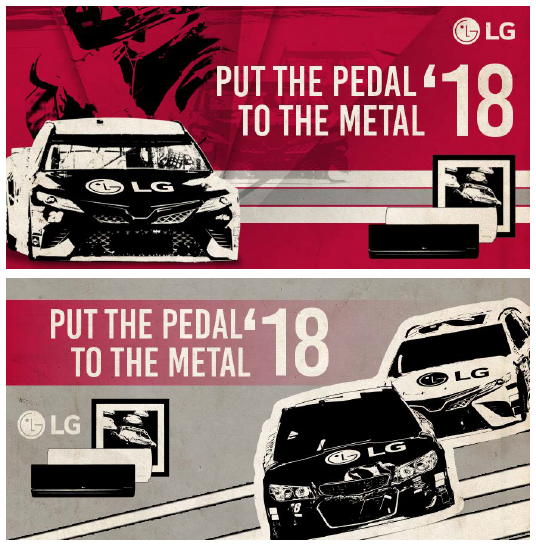 LG has announced that the promotion “Put the Pedal to the Medal” is back by popular demand! See program rules, eligibility and more information by clicking below. Liquidation Sale on YORK Equipment! Don’t Miss out!!! UPD is offering a HUGE Liquidation Sale on YORK equipment in stock! Contact your Territory Manager or Sales Department for complete list of equipment and pricing today! Important Notice – Special Sale on Ducane Furnace Model 92G1UH045BP8 92% AFUE 800cfm drive upflow/horizontal furnace. Special pricing while supplies last. *Backorders not allowed! Contact your TM or Sales Department for pricing. MUST TAKE DELIVERY IMMEDIATELY! Order today while supplies last!! !